I dedicate this post to my fellow friends in Kuala Lumpur. Let me say this... Ipoh is not food haven as it was those days in the 1970s, 80s or 90s.... I cannot deny that Ipoh is famous for its food but this is already an understatement these days. 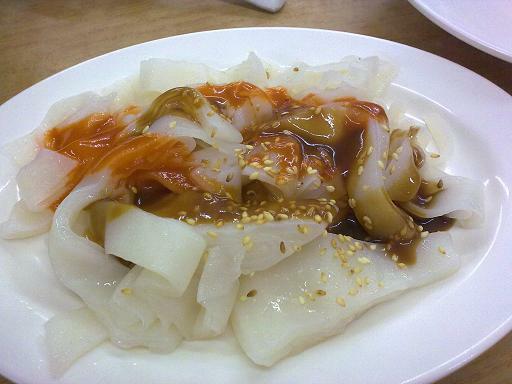 I almost forgotten about these pictures which I took some time ago when I was in KL... my brother took us to try this Ipoh Road Yong Tau Foo and looking at these pictures now, I wish I could be there tonight, this very minute!! 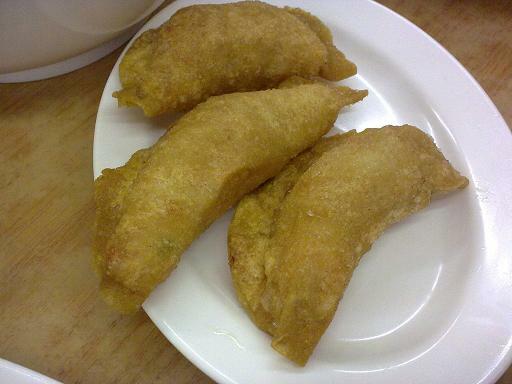 crispy fried beancurd with fish paste! 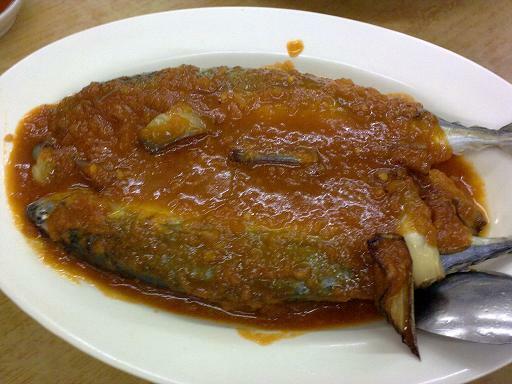 my goodness...they have sambal steamed kembong fish too! 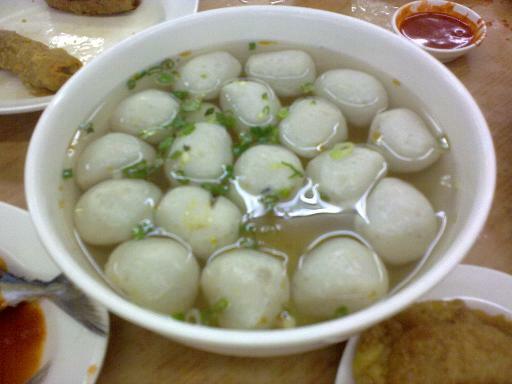 for kids, fish balls are a Must! 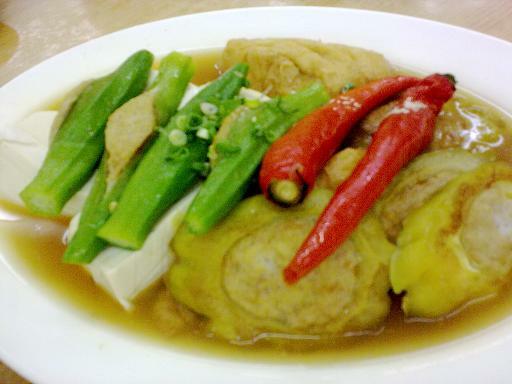 so.... tell me..... Is KL food best now???? Can we organize a bloggers' meet up there? Dunno if it was the same place or another branch. 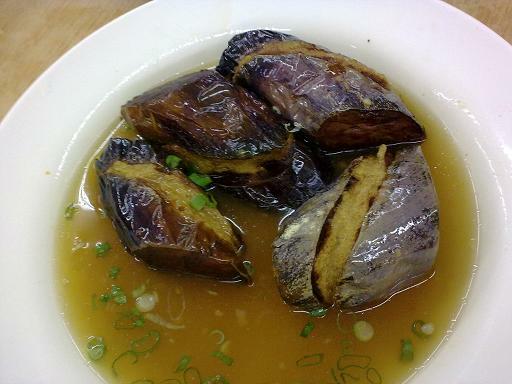 Ok lah...not bad lah, there are good ones elsewhere too...but not in Sibu. Sobssss!!!! Don't really feel KL food is that great especially when cooked by the Myamarese or Bangla helpers... Not anything I would want to eat again. 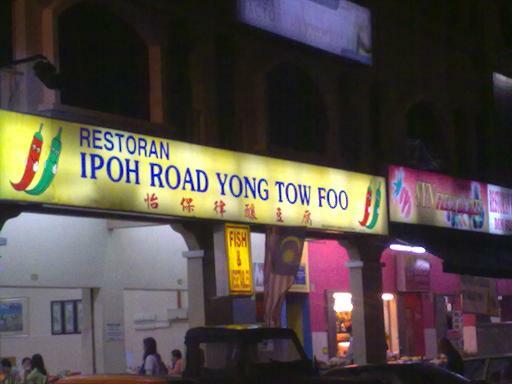 Hahahaha Ipoh still has some authentic spots for great food. I still find the best sar hor fun to be in Ipoh. 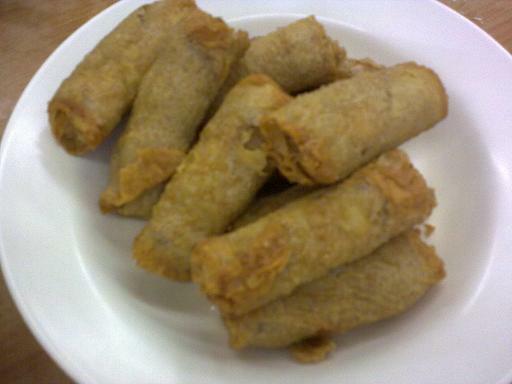 Plus feeling the bean sprouts crunch in the mouth can never be replaced by the skinny ones we get in the Klang Valley. come come KL.. let's do a facebook event for bloggers' meet.. hehehe.. when?? Claire, come after 16th June so I can meet up with you. Count me in the blogger's meet. Don't stay in the hotel. Stay in my condo. Let me know early so I take my maid to clean up the place for you ok? quaypo: thanks for the offer.. so honoured..hahaa... someone got to organize.. anyone??? Mau makan coke chicken again or not? Just let me know when, I masak for u. LOL! cleff: sure I want the coke coke chicken.. please KIV! kathy: yeah yeah.. go makan makan! Hope you have a great time in KL and enjoy yourself with all the nice food and nice company. hahaha!! what a statement you've made, i like.. but then i guess it's like "you see me good, i see you good" only lah.. because when we have it we tend not to appreciate, when we don't have it, we will want for that.. correct?? so i think food heaven is still in Penang?? cos Penang people don't like food elsewhere, haha.. Jalan Ipoh YTF, which outlet you went?? they have lots of outlet, i only like their very old shop in a bungalow in Jalan Ipoh itself..
Claire.. shoot a date to us and I can do the organise of the meet-up! I am sure loads of us waiting here.. hehehe..
Claire..now they have one branch just opened not long ago...very near to my house. 5 mins. Come I bring you there makan when you come ok.